This was the second beer I ordered at the Sugar Bowl while there for the cask night yesterday. 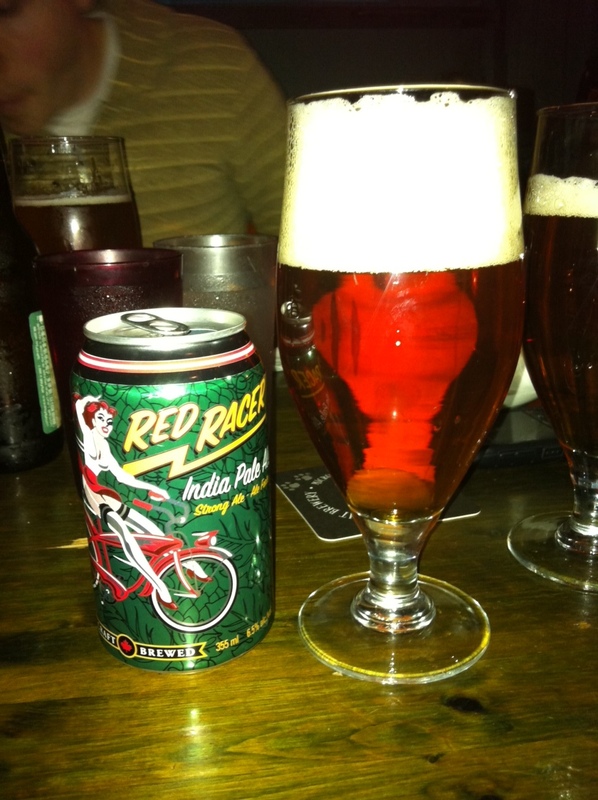 I will admit upfront that I have had little exposure to IPAs in the past. I am starting to get familiar with the style now. So I have little to compare this to and can really only comment on my personal opinion. The beer pours a transparent but rich amber with a creamy looking white head. The head receded fairly quickly two about one fingers and from there retention was incredibly long. The aroma is dominated by citrusy grapefruit in which you can also detect both pine notes. The grassy American hops are evident in the aroma. The taste is just loaded with hops and and an overpowering amount of grapefruit. I kid you not – every sip I took just confirmed that this beer tastes predominantly like hoppy grapefruit. The flavor is not overly complex but you can taste the malt character which has hints of caramel. The finish is bitter hops. The mouthfeel is relatively smooth and the beer is well carbonated. It is an easy beer to drink if you are accustomed to and enjoy the bitter characteristics of an IPA.